Enjoy the change, leave the moving and storage to us! Steve and Ben and their team are great. My move from DC to PA went insanely smoothly - no hiccups at all, and ended up being faster than we'd thought! It was so much easier working with them than a big moving company -- both in terms of logistics/timing and price. They made it work on my schedule, and were transparent about everything. Couldn't have asked for anything better for my move! It feels so good to finally write a positive review on here. Grasshopper did an EXCELLENT job and took extremely good care of my valuables. If you are moving, I urge you to consider them as an option. I was only charged for time which was quite unlike other companies that in addition to the time charge, wanted to sell me padded boxes, loan me used wardrobe carriers and charge for an additional storage space stop. Steve made the process seamless, from my initial call to inquire, to arriving on time in my secured building (even when I didn't answer my phone to buzz him in), to the simplicity of making my final payment...I had no worries. It was all hassle free thanks to Grasshopper. I will definitely recommend them to friends and family and use them to get to my next destination. This is an excellent moving company! Communication was always prompt and informative. The owner named Steve is extremely friendly and knowledgeable. They arrived literally to the minute that they said they would and were the fastest most efficient movers. I highly recommend grasshopper movers to anyone! I used Steve & Ben for a move from DC to New York recently and it was the best decision I could have made. They provided professionalism and outstanding customer service before and during every step of the move. They arrived on time, loaded my entire studio apartment in just an hour, and helped me make multiple trips to the dumpster to throw away big items I wasn't taking with me. They arrived on time to my destination (even before I did) and made the unloading process fast and easy. They were friendly, personable and lovely to be around, plus even helped me load up my Uber to my final destination once everything else was done. I would definitely use them again if I ever had the opportunity. Thanks for making my already stressful move as easy and stress free as possible! Grasshopper Movers were great for my 1-bedroom size move. They made the entire process stress free and, dare I say it, fun! The prices were competitive and transparent, the staff was friendly, and they did a great job moving and protecting my stuff - actually wrapping entire pieces of furniture in cloth with tape rather than just draping it on corners. They charge a flat transportation fee and an hourly rate, which is similar to other companies but here they don't charge extra for stairs (really?!) or have any hidden fees. I will be sure to use this moving company for any other Washington, D.C. moves. In total, my one bedroom move took just under four hours. You like your stuff. We like it too. 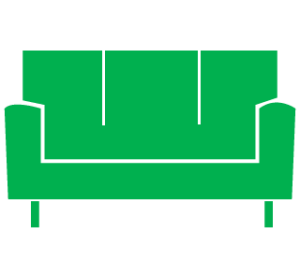 We go the extra mile to ensure that your furniture and belongings are well taken care of. From wrapping your furniture to packing our trucks, every step of our process revolves around protecting your stuff! Let’s face it, you can’t resist flipping through that old yearbook before you pack it up. That’s what makes packing a difficult and time-consuming part of any move. We can do it faster because we aren’t gonna look through your yearbook. And it doesn’t hurt that we know exactly how to pack your Wedgwood china! Found the perfect settee? The ideal chiffarobe?? The must-have cellarette??? We can get it to you! From the humblest NGO to the halls of power, we do it all! Let us make your next office move a smooth one! Renovating and gotta get everything down to the basement? Or maybe just moving a sofa upstairs? We can help! And we can often negotiate low minimums for small internal moves. Save your back, use ours! Whether you need to stow your stuff away during a home renovation, an extended trip overseas, or if you just don’t have a place for it; we can help! Our storage is secure. Come, store with us! 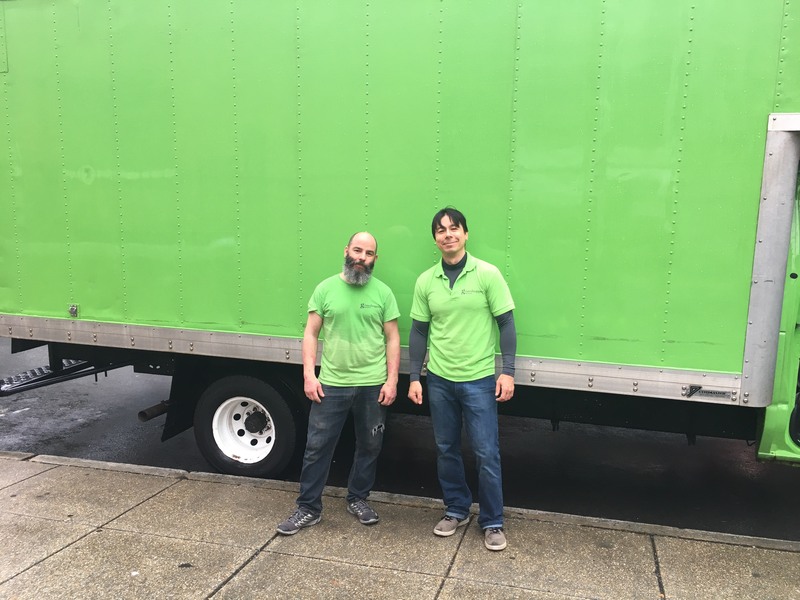 After spending close to a decade in the Washington DC and interstate moving & storage industry, Steve and Ben decided to branch out on their own with Grasshopper Movers. They brought with them a focus on efficiency, safety and customer care that is at the core of everything Grasshopper does. We serve Washington DC, Virginia, Maryland, and beyond. Will you be doing your own packing? Please describe any other pertinent details relating specifically to your move.